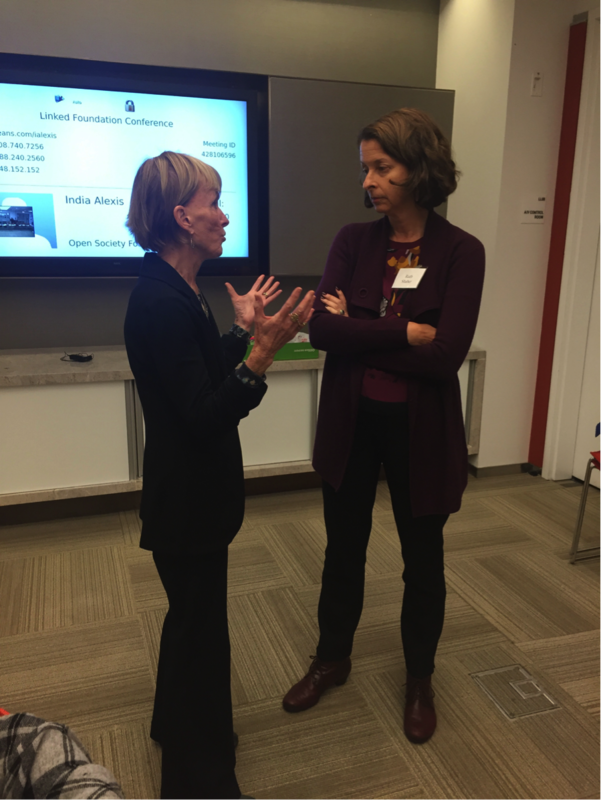 Four Takeaways from the Funders’ Roundtable on Women’s Health in Latin America » Linked Foundation » Su Mundo. Nuestro Futuro. 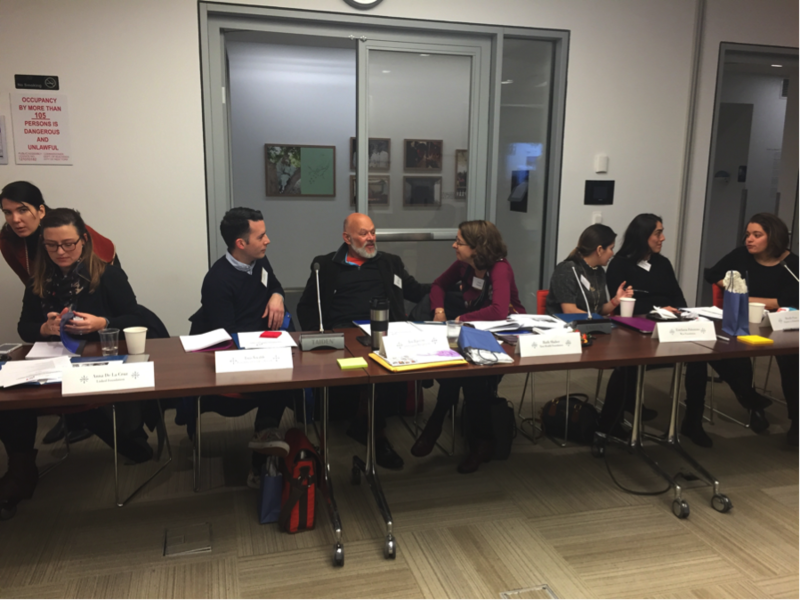 In February, twenty like-minded funders and investors gathered in New York to discuss how we could collaborate to amplify our impact on women’s health in Latin America. Organizers Linked Foundation, Funders for Reproductive Equity, and Suzanne Biegel were motivated by a sense of urgency to pool shared knowledge and fund the work in need, and were inspired by existing collaborations such as the US-focused Reproductive Health Investors Alliance. 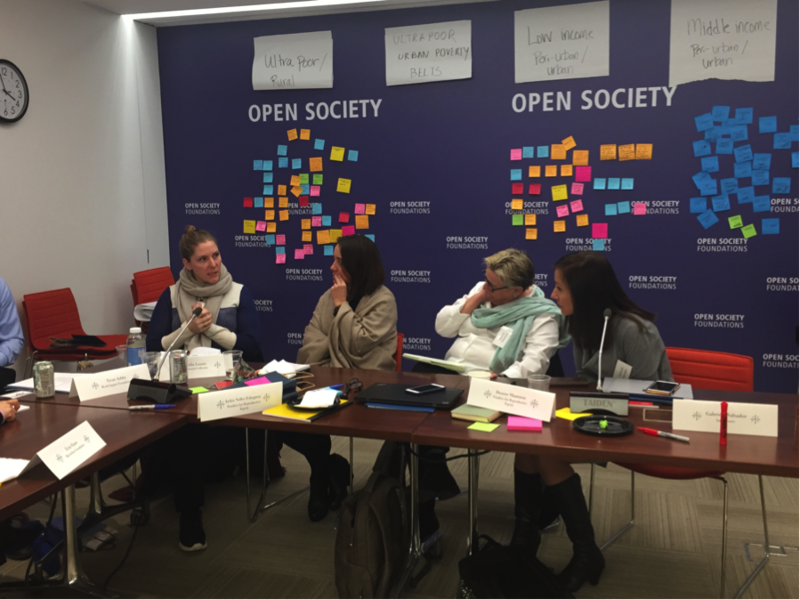 We gathered at the Open Society Foundations offices for a full day of learning, information sharing and networking, and participants left re-energized and keen to collaborate further as well as try new approaches in their investment strategies. While the group of participants was limited to those working on women’s health in Latin America, the conversations around how to invest and partner in solutions could in many ways apply to other geographies and global development sectors. Here are four insights that came out of the expert presentations and rich dialogue. 1. There is a need for investment in women’s health in Latin America, but efficient targeting of funding and program type to the intended beneficiary population is key. While aid funding for health (and women’s health in particular) to the region has been reduced partly due to improved country-level outcomes, there remain significant challenges to women’s health that require donor and impact-led funds. Depending on whether you are targeting the rural poor, peri-urban poor, or middle-income populations will determine the most needed interventions and the likely funding type the implementing partner will need. If you choose to focus on maternal health, the key problem for the rural poor will likely be a lack of access, while for low-middle income urban populations, the problem may be a lack of prenatal care or overabundance of C-sections. Likewise most programs serving the poorest will not be fully sustainable and will continue to require grant funding, while those serving low-middle or middle income should be able to achieve some sustainability or internal cross subsidy and utilize debt and other impact-led capital for growth. 3. Impact-led funding collaborations can catalyze innovation and provide social enterprises with the flexible funding they need. In many cases, social enterprises are able to achieve some degree of operational sustainability, and can graduate to debt and equity financing for ongoing operations, but in order to reach more vulnerable populations or test new, impact-boosting components, grant funding is still needed. Linked Foundation shared how we work with Global Partnerships to provide funding packages to organizations that fit this criteria. For example, Linked and Global have funded a chain of low cost diabetes clinics, Clinicas del Azucar, with debt financing to scale its clinics and “innovation grant” funds to pilot a women-staffed call center to follow up with the most vulnerable patients, many of whom are also women. We recognized the potential for funders in the room to forge similar partnerships specific to women’s health. 4. There is appetite for further collaboration. Following the event, we have already learned that participating organizations committed funding to at least one of the illustrative opportunities that were shared; follow-on meetings are being considered in Mexico and during existing relevant convenings in the fall; and funders have expressed interest in continuing to learn from additional case study examples. The organizers are assessing next steps and opportunities for the group. In retrospect, the convening would more aptly have be described as a ‘Roundtable on investment strategies for women’s health funders in Latin America’ – as the conversations centered on how to partner and fund more than the topic of women’s health in the region. But in many ways, these questions about how to best direct resources are the most important ones for funders to be tackling – our implementing partners in the region are the leaders on how best to address the specific problems and needs they face.